With the possibility of the European Union passing the new version of Article 13, the news company, Valigia Blu, has created this graphic. Photo from Valigia Blu, used with permission under fair use. A term that has been increasingly passed around the internet in the past couple of weeks refers to the newest version of Article 13, which can potentially be passed in the European Union as early as January 2019. To break this down, let’s look at what is currently happening legally in the United States when websites allow users to upload content. All websites where users can post and create content—YouTube, Instagram, Twitter, Tumblr, TikTok, Reddit—rely on the United States Fair Use Doctrine and the United States-European Union Safe Harbor Doctrine. Copyright material can be used for but is not limited to criticism and review, news reporting, scholarship, comment, and research. Fair Use allows for the use of copyrighted materials without the permission of the original copyright holder. Uses like criticism and review, news reporting, scholarship, comment, and research are all covered by Fair Use. For example, YouTube allows all creator channels to legally use clips from copyrighted movies, shows, images and songs in their own videos. In the case of a creator deciding to upload a whole movie onto their channel, Digital Millennium Copyright Act (D.M.C.A.) comes into action. This act tells the website to take down the illegal use of footage. For example, YouTube is only responsible for taking down the video from their website, they are not responsible for committing the copyright violation—the creator is. U.S. Fair Use gives examples of uses for copyrighted material, but are not limited to those stated. The doctrine is flexible to new forms of media—like the rise of memes and vlogs—from its original point of creation in the 1976. 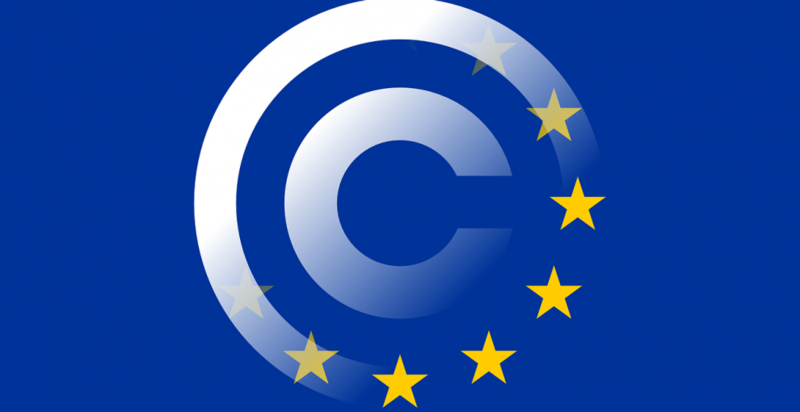 In Europe their “Fair Use” is called “Permitted Use.” European creators need permission to use copyrighted works, unless explicitly stated by the copyright owner. Copyrighted material can be used for and explicitly is only parody, quotation, private copying, and classroom. E.U. Permitted Use states that parody, quotation, private copying and classroom use are allowed. Parody in legal terms requires the new work to be directly making fun of the original copyrighted work. Any other uses that are not stated leads to automatic copyright infringement. Article 13 will only worsen the situation because it targets Safe Harbor in the E.U. “Online content sharing service providers and right holders shall cooperate in good faith in order to ensure that unauthorised protected works or other subject matter are not available on their services,” as stated in the current version Article 13. Because of the poor wording in the current version of Article 13 that has the potential to pass in two months, big companies can demand cooperation “in good faith” from small creators because it is under the law. In this situation, film and music companies can still use their own work, but users on websites like YouTube, Twitter, Instagram, Tumblr, etc. are directly targeted by the vague language used. Big companies such as Sony Music can then bend the rules in their favor, limiting what content can be put out onto websites. Music, movies and shows are not the only types of content that would be banned. This includes every digital image, every painting, every tattoo, and every meme ever posted on any social media platform. This is the content teens produce and post regularly, and will be taken away from us in only a matter of months. In all, passing of Article 13 can and will affect all creators globally, meaning the end of memes.